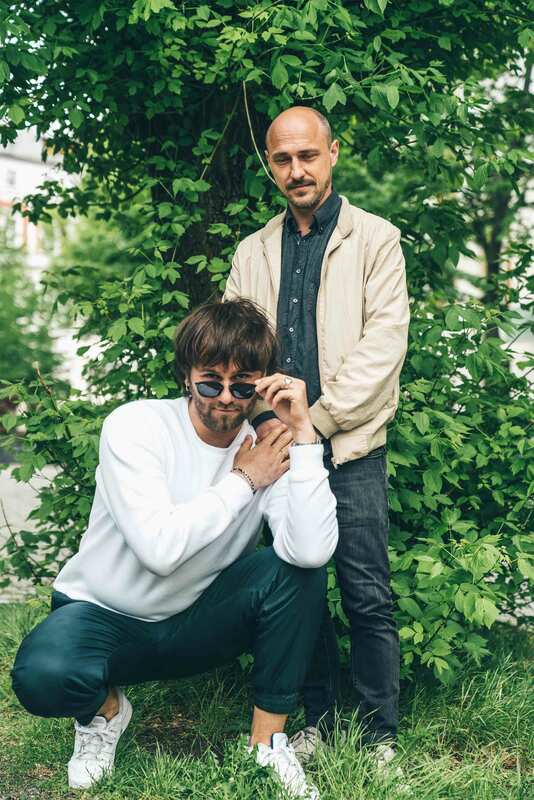 This Sunday, May 20, Telekom Electronic Beats will throw a Clubnight at Leipzig’s Institüt für Zukunft that puts the spotlight on Riotvan, one of our favorite local labels. 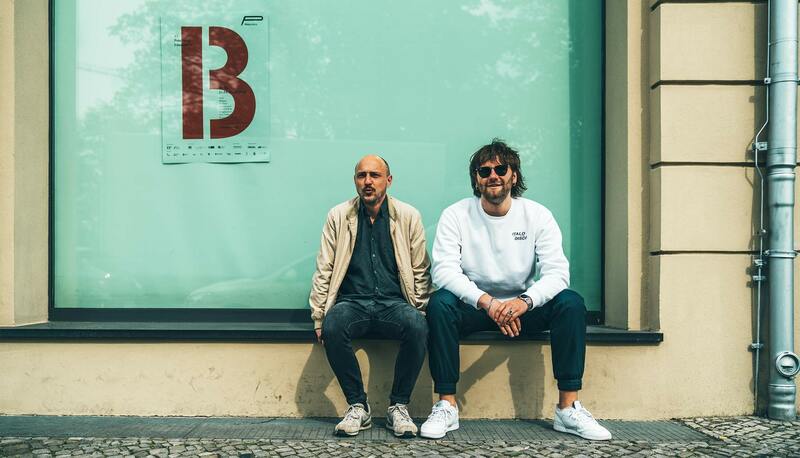 Started by Markus Krasselt 12 years ago, it’s a label that’s played a major role in Leipzig’s development into a major hub for electronic dance music. With releases by Panthera Krause (who co-runs the label), Good Guy Mikesh, Jennifer Touch and Llewellyn, its pop-and-house-influenced approach to club fare is as infectious as it is danceable. Before our party, though, we wanted to get more familiar with the label, which is why we sat down with Krasselt (also known under his moniker Peter Invasion) and Panthera Kraus to talk about what makes them tick. Telekom Electronic Beats: How did Riotvan start? Markus Krasselt: Riotvan started in 2006 as a series of parties mostly in Leipzig. I did it to have gigs for the indie band I was in back then, but it was also to connect with like-minded people. I was pretty young—17 or 18. Musically, our roots weren’t purely electronic. Since I was in a band, Riotvan always had a band element. Over time this led to a crew of people being involved and eventually Riotvan also became a booking agency for the artists that have been a part of the parties since day one: Good Guy Mikesh, Lake People, etc. TEB: And shortly after you also started Riotvan the label. MK: Yes, that was in 2012. One of the main reasons for that was to music by Here Is Why, the new wave and synth pop band I was in with Good Guy Mikesh, my girlfriend Linda and Flo. We wanted to have full control over every aspect of the release. The only way to ensure that was to start your own label. TEB: Most people would start with a couple of EPs to test the waters and find their way with manufacturing and dealing with distribution. MK: True, we just jumped into the deep end and pressed 800 records and CDs. I didn’t have a plan for what to do next with the label. There was no fixed concept for the sound of Riotvan either at first. A little later I met Robert, who was then still part of Marbert Rocel, a downtempo and jazzy house band signed to Compost Records. With his 12″ on Riotvan, which was his first full release as Panthera Krause, a general musical direction emerged. Panthera Krause: The label got a bit more dance floor-focused, but it’s still pretty open to different styles, I would say. MK: The pop aspect is still there somehow, though. TEB: Apart from releasing records, what’s your job at Riotvan, Robert? PK: I do the occasional graphic design work and Markus and I talk a lot about the label and what next steps to take. Technically, it’s still his label, but I am pretty involved now, too. MK: By now, I think you could say we co-own Riotvan. That is a development of the last two or three years. We just realized that we are not just getting along great but that we are also sharing similar ideas about club music and music in general, so it felt like a natural progression to work together more closely. TEB: A lot has changed in club culture, but also in Leipzig, since your first Riotvan party 11 years ago. What has your experience been? MK: There are a lot more clubs in Leipzig now than when we started. Thanks to the continuous influx of people moving to Leipzig it’s now possible that there are four or five clubs filled to capacity on any given night over the weekend. That was not the case 10 or 12 years ago, where you had one big party and the rest would be struggling. I have the general feeling that all the clubs and artists are helping each other out more than back in the day. It feels more communal and synergies are created and utilized more often. That might have to do with the fact that I was very young when I started and all the other club owners and promoters were at least 10 years older than me, but I am pretty happy about it nonetheless. PK: There are so many new people, who weren’t part of the old Leipzig scene, that things have opened up. It feels quite dynamic and the scene and city in general have become more international. MK: We don’t have party tourism like Berlin, but I guess there are more people who, for instance, now consciously decide to move Leipzig to go to the university, because of the rich cultural landscape the city has to offer. So generally I would say things have developed nicely since we started Riotvan. If there is one thing I struggle with sometimes it’s the feeling that having DJs and bands next to each other at a party seems to irritate people more than it used to. PK: There is a certain expectation of the crowd if they go to a house or techno club. Some people don’t like it if that expectation isn’t fully met. TEB: What are your plans for the label? Funnily, Riotvan started with an album but you haven’t released one since? MK: That’s true. But this will change next year. PK: I am working on my first solo album. I am pretty happy about that. Riotvan is the best and obvious choice for me. MK: We’ve released between two and three records on average per year. I think we might increase the number a little bit, but not too much. PK: We don’t want Riotvan to become this machine that puts out release after release every two months. We want to give each release enough time. MK: At the end of the day we are working with a small number of friends and we don’t want to change that. This idea of a tight-knit community at the heart of the label is very important for us. We won’t start signing artists we have no connection to and who we don’t know personally. TEB: Do the Riotvan artists have carte blanche when it comes to deciding which tracks are released and which are not? PK: I think they probably have more freedom than on most other labels. PK: …and we are on the same page, musically. We don’t really listen to demos all that much. I always need to know the person behind the music. That’s very important to us.